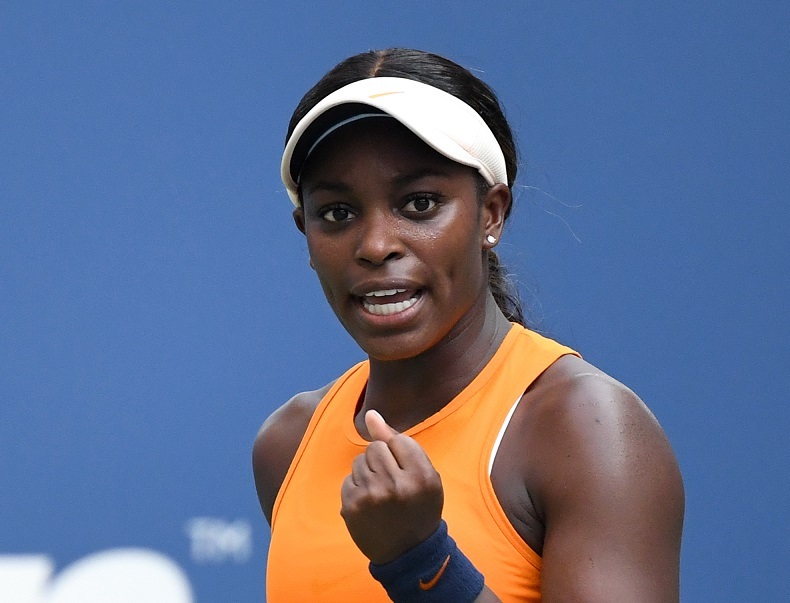 Defending champion and third-seeded Sloane Stephens survived a tough challenge from Ukrainian qualifier Anhelina Kalinina to secure her place in the U.S. Open third round with a 4-6, 7-5, 6-2 win on Wednesday. On a miserably hot day in Flushing Meadows, both players battled through the conditions for nearly three hours, as Kalinina, who was playing in only her third WTA Tour-level match, burst out to a 4-1 lead in the opening set before Stephens rallied to level the set at 4-4. But Kalinina took the next two games to steal the first set from the American. The second set was a see-saw affair similar to the first. This time it was Stephens who opened up the 4-1 advantage, but Kalinina broke back twice and eventually leveled the set at 5-5. From there, however, Stephens took control. She broke for 6-5 and calmly held serve to force the match into a deciding third set. Sensing the shift in momentum, Stephens took advantage of 17 unforced errors from the qualifier in the final set to see out the match. Her next one will come against two-time finalist Victoria Azarenka, who cruised past 25th seed Daria Gavrilova in straight sets earlier in the day. Former finalist Karolina Pliskova looked impressive in a 6-2, 6-3 victory over young Romanian Ana Bogdan. Up next for Pliskova is the winner of the match between the 32nd seed from Greece Maria Sakkari and young American Sofia Kenin. Venus Williams set up a potential third round clash with her younger sister, Serena, as she got past a difficult opponent in Italian Camila Giorgi. The 16th seed held off Giorgi 6-4, 7-5 to book her spot in the Round of 32, where she plays the winner of the match between Serena and Germany’s Carina Witthoeft, who play Wednesday evening under the lights at Arthur Ashe Stadium.